All new sermons are now uploaded to iTunes. Most of the messages listed below are also now available on iTunes. Search iTunes for “trotters41 podcast” or just click here. Leaving the Village (Mark 8:22-38) (mp3, 28mb, 30 minutes) Sometimes healing comes in one big wave, crashing. And sometimes it happens one drop at a time. And sometimes he has to lead you out of the known. View/download my speaking notes here: Notes on Mark 8:22-38. Recorded at the International Christian Fellowship, Phnom Penh, Cambodia, December 11, 2016. Adam’s Context, Calling, Curse, and Christ (mp3, 26mb, 26 minutes) Some lessons from Adam. View/download my speaking notes here: Notes on Adam. Recorded at Second Mile Church, Phnom Penh, Cambodia, December 2016. Psalm 31 (mp3, 23mb, 25 minutes) A review of Psalm 31 and what it teaches us about teleporting, editing, and borrowing. View/download my speaking notes here: Psalm 31 Notes. Recorded at the International Christian Fellowship, Phnom Penh, Cambodia, December 2016. Jeremiah – Lessons from a crying prophet (mp3, 29mb, 30 minutes) A brief overview of the social and spiritual context of Jeremiah, followed by some timeless lessons we can learn from the prophet who cried. To view/download my speaking notes, click here. Recorded at the International Christian Assembly, Phnom Penh, Cambodia, November 2016. On Rest, Loss, and Revenge – Psalm 3 (mp3, 34mb) A walk through the historical context and present implications of Psalm 3. To view/download my speaking notes, click here. Recorded at the International Christian Assembly, Phnom Penh, Cambodia, July 2016. The Posture of God (mp3, 18mb) Based on Psalm 116, as well as the story of Hagar found in Genesis 16. Recorded at the International Christian Fellowship, Phnom Penh, Cambodia, July 2015. So What Do I Do With My Life? (mp3, 30mb) Adore Him, Love people, and Walk boldly. Recorded at the International Christian Assembly, Phnom Penh, Cambodia, June 2015. For my notes, click here: Notes, June 2015, ICA. 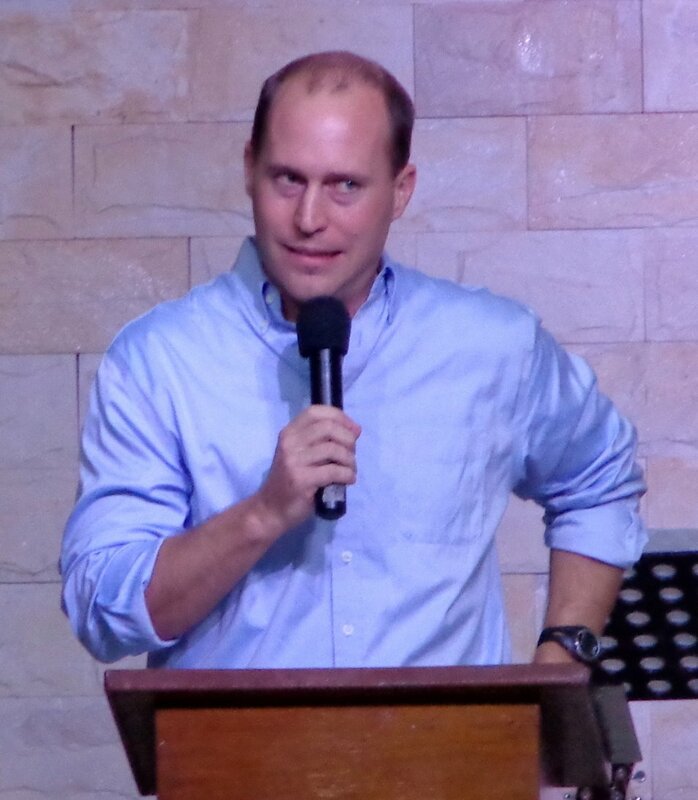 Grief and Loss (mp3, 31mb) Recorded at the International Christian Assembly, Phnom Penh, Cambodia, April 2015. The Hands of Jesus Reveal the Heart of the Father (mp3, 32mb) Recorded at the International Christian Assembly, Phnom Penh, Cambodia, November 2014. If we really see the hands of Jesus, we’ll see the heart of the Father. His hands, made vulnerable on the Cross, are the ultimate revelation of God’s passionate pursuit for humanity. For you. I Am Not the Messiah. He’s Coming Soon. (mp3, 33mb) Recorded at the International Christian Assembly, Phnom Penh, Cambodia, June 2014. A brief study of John the Baptist, including a few of his main teaching points: “I am not the Messiah, but he’s coming soon.” If we really grasped these two points, what would change in our lives and ministries? The Bride of Christ (mp3, 19mb) Recorded at the International Christian Assembly, Phnom Penh, Cambodia, March 2014. A short look at our identity as the Bride of Christ, the Beloved. I also briefly address one main reason I believe it’s hard for us to love the Church like Christ loves the Church. A Disgusting Man Meets Jesus (mp3, 48mb) Taken from Matthew 8:1-4, this message was recorded at the Rolla church of Christ in November, 2013. In this message, I attempted to model a story-telling approach to Bible teaching that is interactive and workable in a semi-literate or illiterate society. Listen to a minute and a half interlude about the heart of Christ, excerpted from this message. On Being Called (mp3, 30mb) My last message at Red Bridge, presented in November, 2011. This message starts off with a brief recap on why we’re going to Cambodia and what we’re planning to do once we get there. However, the bulk of the message is On Being Called. In short, the call of God is always a call to leave — and we’re all called. I also spend some time outlining some practical ways to determine the call of God in your own life. And by the way, the YouTube video I show towards the end of the sermon can be viewed here. Holy Moley, Jonathan, I cried like a baby. I just say Thank you from my heart for sharing the audio tape of your call.